On a recent Called to Coach, we spoke with Gallup-Certified Strengths Coach, Alma Hughes. Alma Hughes is the Vice President of Organizational and Leadership Development at Regions bank. She is a passionate leader creating a strong workplace culture through the use of CliftonStrengths, Gallup’s Q12 employee engagement survey, and other leadership programs. Regions and Gallup have worked together since 2007. At first, Regions only focused on customer engagement, then they moved into employee engagement as part of a larger strategy to improve their workplace. It’s the fifth or sixth year they’ve administered the Q12. They don’t use it just for metrics. They use the results to engage their employees and create a highly productive workplace. How did the ASC course enhance your strengths coaching? Alma was already very familiar with strengths before she went to the Accelerated Strengths Coaching course. She was interested in getting more tools. The course gave her more language to talk about what people do well. It makes a difference in how she connects with people. She loves strengths because it gives people what they need to “lean in” to what they do best and helps them be more effective. What programs are working the best at Regions? “Leaders at all Levels 3” is program for senior leaders that uses a blended learning approach. It incorporates strengths into the overall program. It shows the culture part of the organization and the technical side. It helps leaders know how to coach, self-discover and connect with others. What advice would you give others who want to role strengths out in an organization? Alma says you should find a strengths champion. Ideally, from the top down would be best. If you can get the buy-in of a senior leader and let them see how it works, it will take off on its own. It’s going to be important that people invest the time to learn about it and invest in it, though. Alma Hughes joined Regions in 2013 as a member of the Organizational and Leadership Development Team. 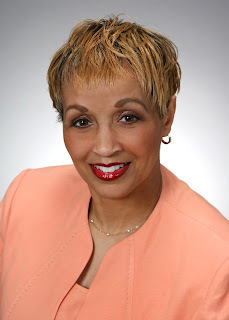 She has over 20 years of experience working in the financial services and consulting industries, and actively worked with Regions as a consultant with Lee Hecht Harrison (LHH), delivering the Leaders at All Levels 3 (LAL3) programs from their inception in 2010. Alma holds an A.B. Degree from the College of William and Mary in Psychology, and a M.Ed. from Springfield College in Industrial Psychology. She also holds a Certificate in Bank Operations from the Bank Administration Institute’s Graduate School of Banking at the University of Wisconsin, holds a certification for the Myers Briggs Type Indicator, a Master Facilitator certification for MasteryWorks, Incorporated, and holds her PCC and BCC Executive Coach certifications. Gallup-Certified Strengths Coaches, Murray Guest and Luke Ramsay, contributed to this post.